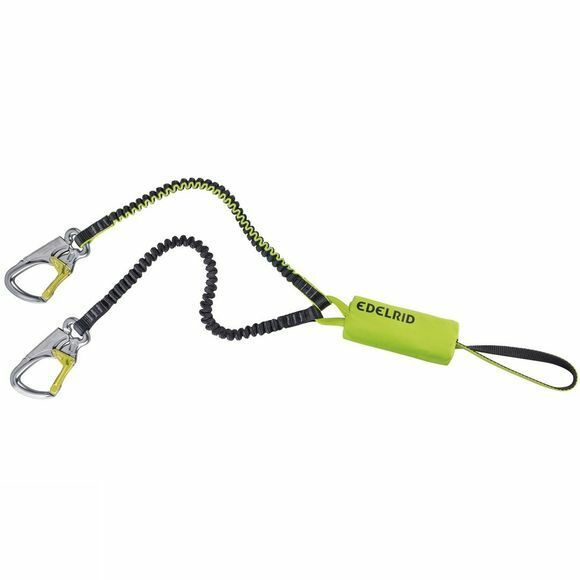 The Cable Lite 5.0 Via Ferrata Set by Eldelrid features a very compact and lightweight design that featuring two Triton karabiners that simply open with a palm squeeze opening mechanism, which help to prevent non-intentional opening. The high wearing elasticated webbing lanyards ensure that the karabiners are kept close to hand, as well as having plenty of manoeuvrability. There is also a convenient rest loop situated directly at braking device.